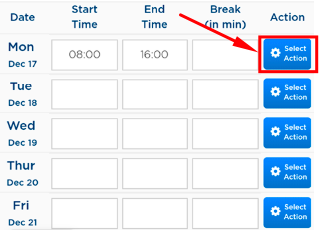 Select Action button contains different functions that you can apply to every row in your Timesheet. 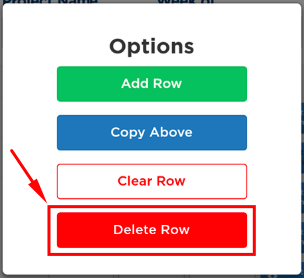 Using the Select Action button, you could easily add row, delete row, clear row, apply the first row's content to all rows, and copy the content of the row above it with just a few taps. 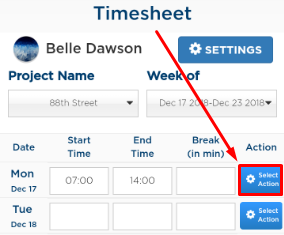 These functions are available to all Timesheet scenarios such as submitting a timesheet, using a template, and simply saving a timesheet. 1. 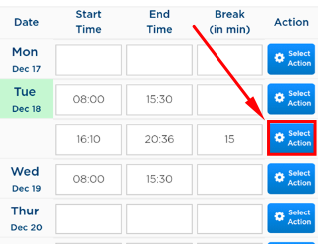 Tap Select Action on the day that you wish to add additional row/s. In the picture below, I chose Monday. 2. You can see that there are three options. Tap Add Row. 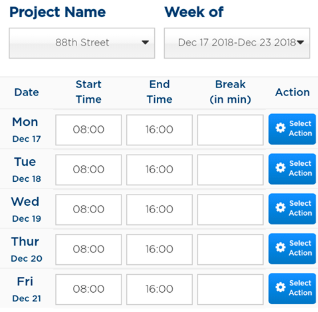 After doing so, notice that a row has been added under Monday. 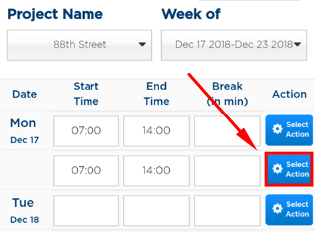 Note: You can use the Add Row function multiple times on whichever day/s you prefer, just repeat the steps shown above. 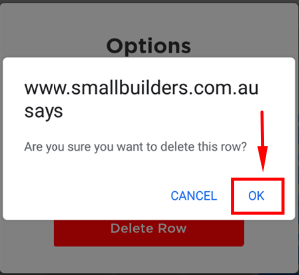 This function is used to delete row/s. 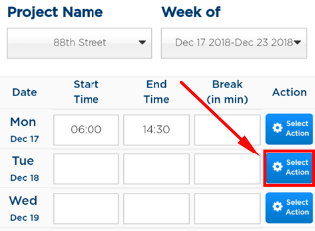 You can only delete sub-rows. 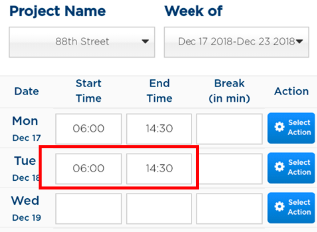 You are not allowed to delete the mother rows which are the main row of each day of the week. 1. Tap Select Action on the sub-row that you wish to delete. 2. You can see that there are four options. Tap Delete Row. 3. A confirmation message would appear. Tap OK.
After doing so, notice that the sub-row has been deleted. This function is used when you need to empty the boxes. This would just clear the data you've inputted on the corresponding row that you've selected. 1. Tap Select Action on the row that you wish to clear the content. 2. You can see that there are three options. Tap Clear Row. 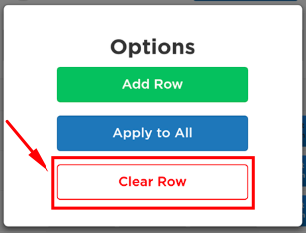 After doing so, notice that the row has been cleared. 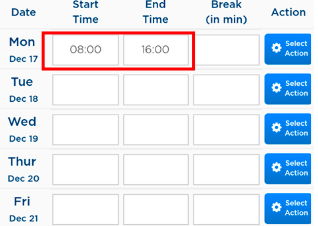 This function copies the content of the first row and applies it to its succeeding rows except Saturday and Sunday. 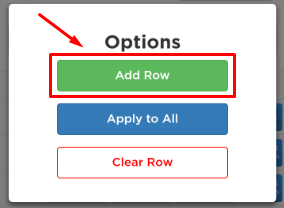 Note: Apply to All option can only be seen at the first row's Select Action button. 1. 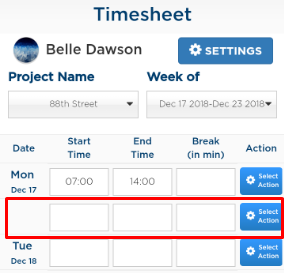 Fill out the first row on the timesheet form which you want to be applied for the whole week. 2. Tap Select Action on the first row. 3. You can see that there are three options. Tap Apply to All. 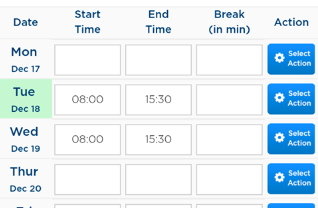 After doing so, notice that that all rows now have the same content as the first row. 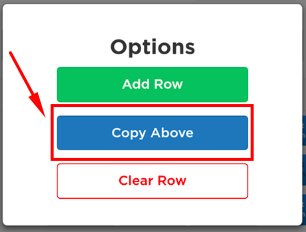 The copy function saves you time by copying one row and applying it to the succeeding row(s). 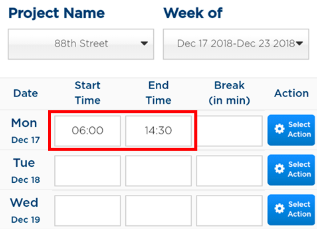 This feature saves you time especially when you have same set of work in a week. 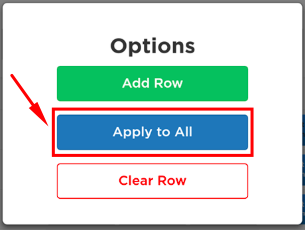 This function copies the above row and applies it to the current row. 1. 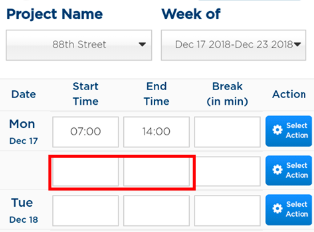 Fill out any row on the timesheet form which you want to be copied on the row below. 2. Tap Select Action on the row that you want to paste the content into. 3. You can see that there are three options. Tap Copy Above. Notice that the second row has the same data as above. This is because you copied the row above and applied it to your current row.